DALLAS (AP) — An argument escalated into a backyard shooting at a toddler's birthday party in South Texas, leaving four men dead and a fifth man wounded, authorities said Sunday. 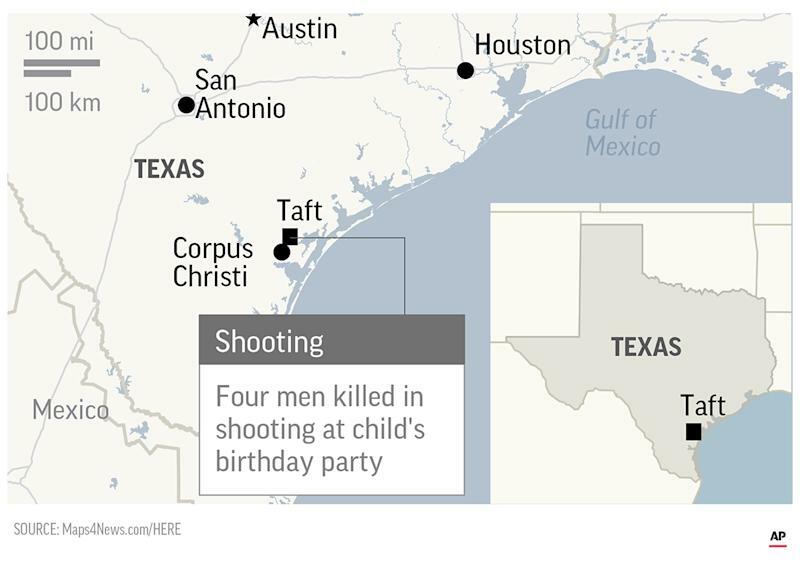 The shooting happened at a child's first birthday party Saturday afternoon in Taft, 12 miles (19 kilometers) north of Corpus Christi, the Texas Department of Public Safety said. Sgt. Nathan Brandley said those involved were distant relatives. Authorities did not say what the men were arguing about, but said the shooting occurred in the backyard of a residence.